Kodi is free of cost and open-source media player platform that helps its users to stream and play music, videos, movies, podcasts etc. using the internet or the computer storage. Since Kodi has countless add-ons available on the internet, it makes it extremely easy for users to enjoy streaming content without having to worry about spending money on monthly memberships for cable or satellite services. Kodi works great on many different devices including Android boxes and can make an amazing home theatre setup. It’s really easy to customize and with the diversity of skins available, you can create a look and feel that is truly unique! You can easily stream media content from your favorite websites, like YouTube, Spotify, Crackle and many more. While streaming is great, Kodi, however, can be expanded dramatically through the use of add-ons. There are a number of different addons for Kodi application, on the internet. You can get addons for sports like the WWE, NFL or even just all-in-one sporting addons. There are ones that specialize in Indian movies from Bollywood and others that have access to the best of Hollywood. These addons can be installed onto your Kodi application to make it easier to enjoy various streaming content from the internet and from your desired websites on the web. The best thing about Kodi is that it allows third-party developers to build video and audio streaming plugins. You can find these addons easily on the internet and download them to cater your streaming needs. One of these addons is the ‘Elementum Kodi Addon’. Elementum is slightly different to other add-ons that we’ve recommended as it doesn’t stream content directly from a specific server. Rather, Elementum Kodi Addon uses the power of torrenting to provide you access to content and as it’s a peer-to-peer client (P2P), it uses both download and upload bandwidth. You might have heard a lot about VPNs, a virtual private network if you use the internet regularly. VPNs provide an underpass between you and the website you are accessing to protect you from viruses, identity thefts, malware and many more threats that you could be exposed to on the web. When it comes to streaming content online with Kodi, VPNs are even more important. While torrents provide a certain level of anonymity and make it difficult to track your activity, your ISP still has access to all of the traffic traversing its pipe. This is where a VPN comes into play and provides another level of protection. With a VPN installed, no-one, including your ISP, will have access to your network. From the number of VPNs available to download, we recommend IPVanish because we know it won’t disappoint you! IPVanish works on all operating systems – iOS, Android, Windows, and the list goes on. Even though IPVanish needs to be purchased before it can be used, it keeps your data safe and does not track all your activity, unlike many other VPNs. VPNs that are available free on the internet tend to track all your activity on their main servers. This can be very dangerous since your private information is not safe and anyone can track you down. IPVanish does not have a logging system and so, it does not store any records of your activity. If you want a hassle-free plugin to help you stream movies, videos, music, and pretty much everything else you can think of, Elementum Kodi Addon is the way to go. With its easy installation and usage, you will be able to stream all the content you like from the internet without spending hours searching for torrents online. Here is a guide to help you set up and install Elementum, in just a few easy steps. ou need to go to the official Elementum website at http://elementum.surge.sh/ to download the client first. 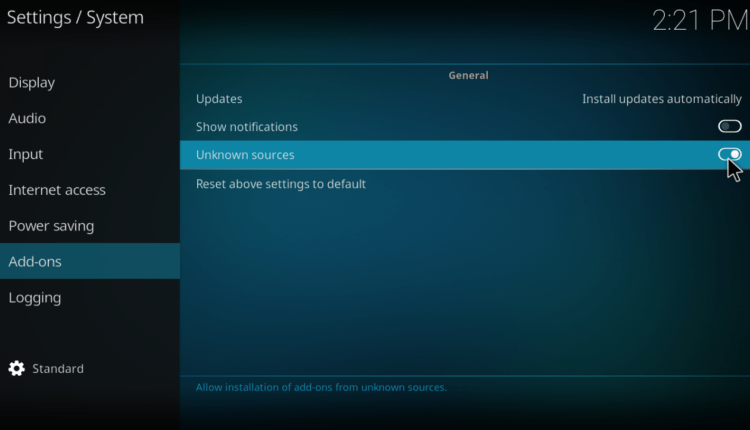 Once on the site, scroll down the list to select the operating system you have installed Kodi on. If you do not know, select the “All-in-one” option to be safe. In order to install Elementum Kodi Addon, you need to do two different things. First, you must go to your Kodi application settings and allow third-party add-ons to work. To do this click on to go to “System” at the top of your screen. Select System Settings > Add-ons > Unkown sources and turn it on. Secondly, you are going to have to give Elementum some control so that it works properly. To do this go back to the settings and click on Service Settings. Now go to the Control tab in the left menu bar and turn on the Allow remote control for application on other systems button, as shown in the image below. Once you’ve done this, restart Kodi to continue the installation of Elementum. Turn you VPN On. We strongly recommend you to use IPVanish to stay way from unwanted viewers! Open Kodi and press Add-ons from the left menu bar.  On the upper left side, click on symbol to go to Add-ons browser. Install from Zip File – In the ‘Add-on Browser’ option, you will see 4 options. Select the Install from zip file option and select your Elementum zip file from its location in your system. Install Elementum Burst – After you have added Elementum to your add-ons, the application will automatically prompt you to allow it to install Elementum Burst. Select yes and wait for it to install. If the automatic installation is not successful, you can install Elementum burst manually from the application. Just go back to the Home screen and select the Add-ons tab from the left menu bar. Now select Elementum and then choose your desired option from the list, for example, movies. Now browse through the lists to find your favorite streaming content and enjoy hassle-free streaming! This article revealed Elementum Kodi Addon, a less known Kodi addon using P2P Torrent technology to provide you access to contents by downloading and uploading the required streams. Although being a technology widely used this involves some dangers you need to care, such us: IP connection information leak, unauthorized access to copyright protected / pirated streams. In fact as your IP is public within the network, your ISP and other sniffers may easily get to know your identity, getting you in troubles with the law. So, remember, before you use this addon or any other addon on Kodi, use a Good VPN like IPVanish to protect your online identity and activities. 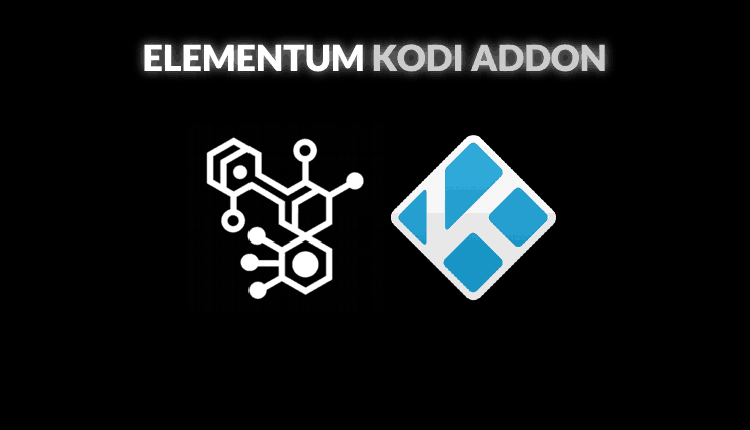 Keeping in mind this article about Elementum Kodi Addon is only for informational purposes and it’s up to your responsibility the way you’ll use it, we hope you’ve found it helpful. If so, please share it with your friends! Have a wonderful and safe day!